Outfit7 - Talking Tom and Friends theme parks! Talking Tom and Friends theme parks! We’ve got some exciting news to share. 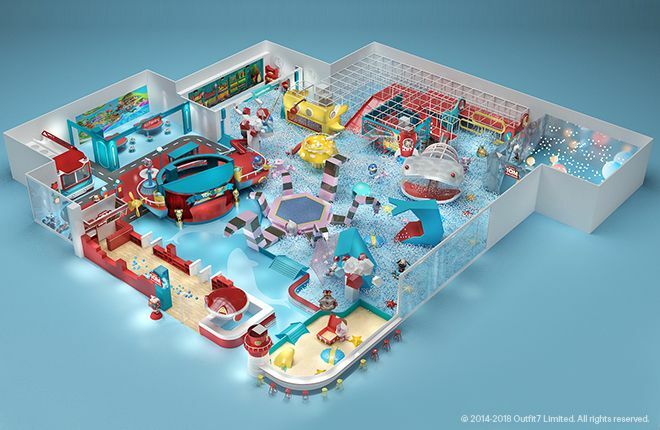 We’re going to be opening our very own Talking Tom and Friends theme parks! The fun has already begun! 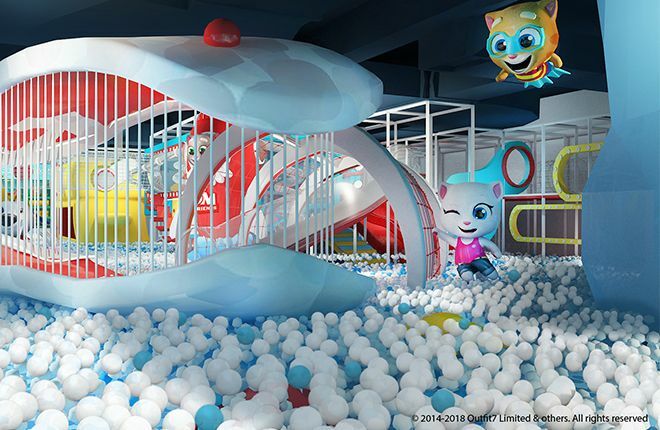 Our first, smaller park opened this month as a playground in a shopping mall in Shaoxing, Zhejiang, and three more are going to open in China in 2018. The good news doesn’t stop there. We’ve got potential plans for a 215,000-square-foot Talking Tom amusement park in the future too! So buckle up. We’re about to go on a wild and wonderful ride! Want to know more? Read our interview with Newsweek here. Fig. 1: The indoor park play area. Fig. 2: The indoor park render.